Ben Makepeace, a screenwriter, is recently divorced, with a young son to care for. So when he’s invited up to Stoneham Park in Oxfordshire to meet someone who wants to bankroll his latest script, he jumps at the chance. Victor Sheldon is a hedge fund billionaire yet when Ben meets him he’s bemused, for Victor is none other than old school friend Jacob, last seen some twenty-five years ago. Victor is eager to introduce him to the various occupants of his Palladian home and Ben can’t quite believe the great stroke of good fortune. 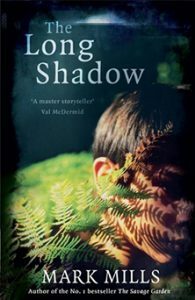 But history can cast a long shadow, and soon Ben finds himself caught up in a vicious endgame with roots buried deep in the past of his childhood.